Rupert Till discovered his own particular niche in art purely by accident. Having left Chelsea School of Art in 1991, he returned to North Yorkshire to prepare for a career in Art. Whilst following hounds he tripped over a laid down old pheasant pen that was covered with brambles and bracken. When he pulled it out he realised how malleable it was and he decided to see what he could create from it. He used several yards of the wire to mould into a lurcher. Shortly afterwards he was commissioned to create a model of a greyhound and he was to spend the next year working in wire and developing his own technique. He already knew the basics of welding from his experience of working on a farm during the holidays so he learned to Mig weld light steel. This meant that he could create very strong armatures for his sculptures and his first major commission was for a 120 ft long Alice in Wonderland topiary frame for Burton Agnes Hall. That project inspired him to explore the garden market rather than aim towards galleries. In 1993 he displayed some of his sculptures at the Country Living Fair in London. These included two lurchers commissioned by Jilly Cooper and they were to trigger a flood of orders following a brief interview on the BBC. That success enabled Rupert to move studios to Hovingham and advertise in Gardens Illustrated. He then displayed his work at every Country fair, Agricultural show, Game fair and Garden show that he could get in to and sales started to go global. In 1994 he moved to Co Kildare in Ireland and the following year exhibited some sheep for Rupert Golby’s Hidcote Country Life garden at Chelsea . That was covered by Country Life and his first four sheep were sold to Australia with orders taken for sixteen more! 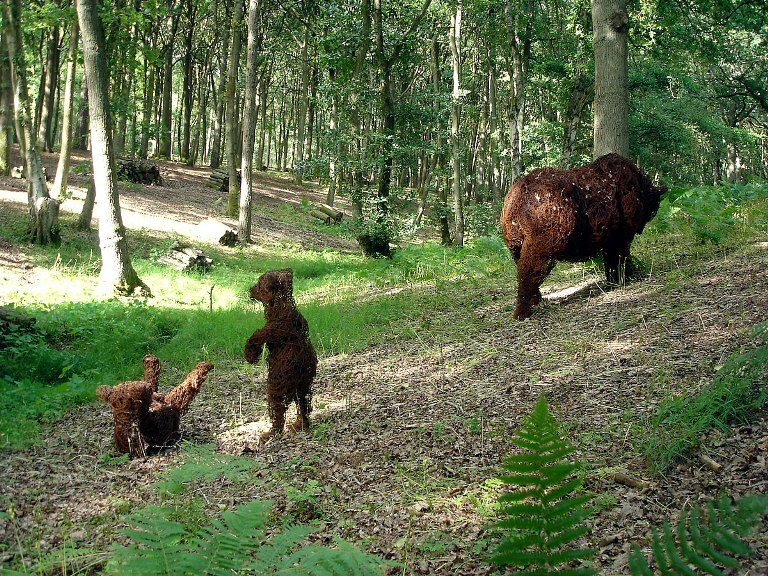 Animals continue to be the inspiration of Rupert’s work from grazing cattle to ducks, chickens, horses or even bears! 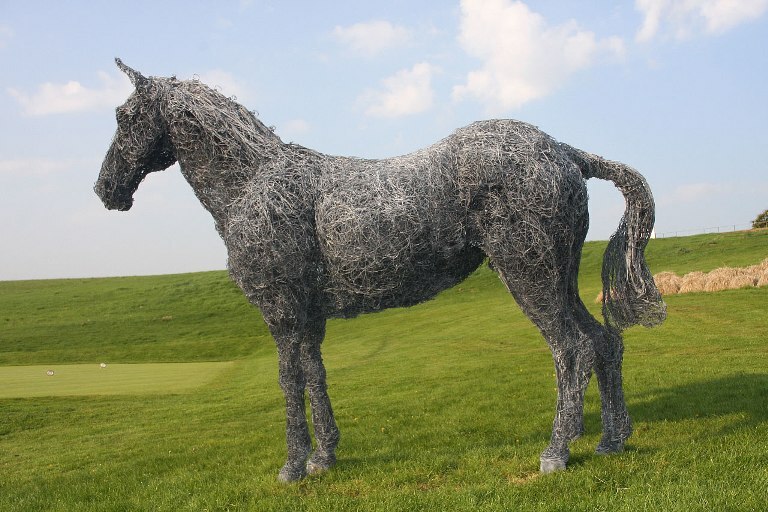 His use of chicken wire, often recycled, is another aspect of his sculpture that is particularly in fashion at the moment. His sculptures seem to have a natural element that enables them to blend comfortably into their surroundings. Rupert has been exhibiting at the Chelsea Flower Show for 19 years and his clients include the King of Saudi Arabia. He has also received 14 awards for outstanding presentation. 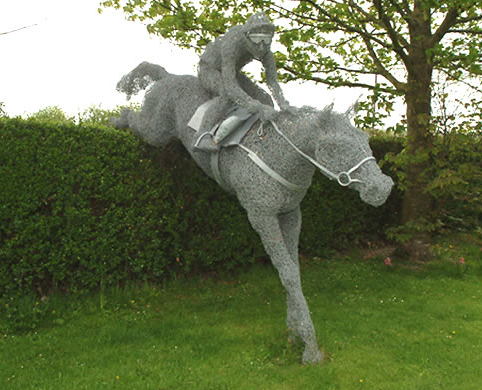 His sculptures start from £600 and you can find out more by visiting his website. 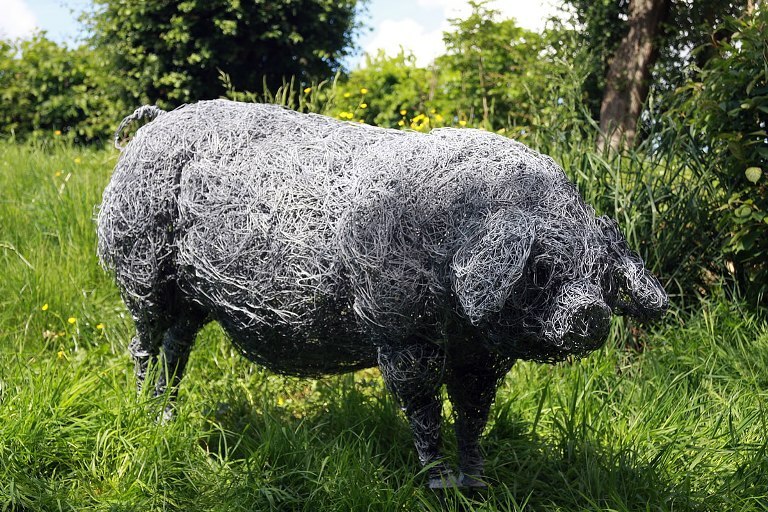 This entry was posted in Uncategorized and tagged Chicken wire, Rupert Till, sculptor, sculpture. Bookmark the permalink.